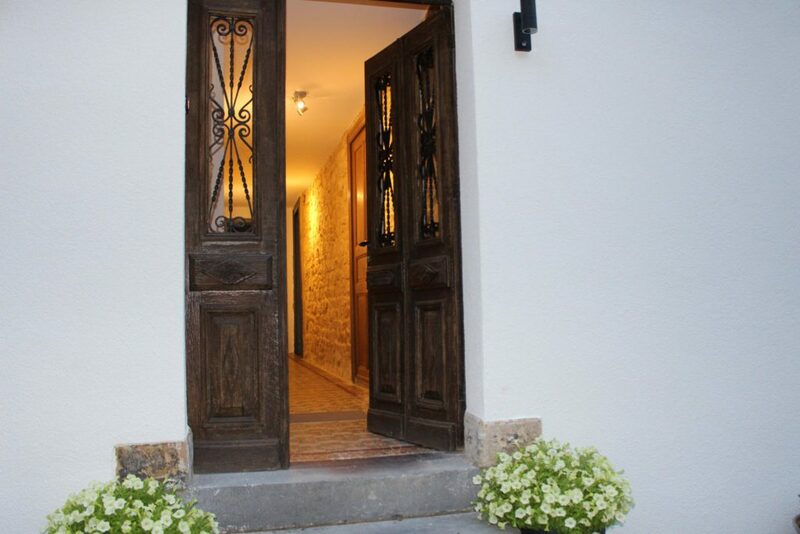 Spacious two stories farmhouse (180m2) set within 5 acres of private grounds with private parking in front of the house, lovely terrace and private fenced garden. The farmhouse is fully furnished, has an antique fireplace and large bedrooms with plenty of space (not over crowded with too many beds to make up numbers). The farmhouse is perfect for large families or groups of friends wanting to stay together and has 3 large bedrooms. Room with space for bikes and easy access to return to the house after hiking. The 1st floor boasts a characterful roll with its corridor and its original stones. There is a library, 2 large bedrooms, 1 master bedroom equipped with its own bathroom (shower and sink), one separate bathroom.